Nothing is better than the smell of ham baking in your kitchen . We typically use brown sugar and butter to make a glaze or even maple syrup. This time, we searched for a sweet fruit that is native to Mexico and South America and would pair nicely with some heat of a Habanero pepper. From mangoes to tamarindo, the winner was the guava, a tropical fruit with yellow skin and pink pulp. There’s so much to get to on Thanksgiving that glazing precooked hams is perfect for the holidays because they can be on the table in no time at all. We also used store-bought guava marmalade as another time-saving step, but homemade marmalade can be a fun weekend project and make great gifts. Be careful handling the Habanero as this is one of the most blazing peppers out there. We used two Habanero peppers for this recipe, but we recommend starting off with one or even half of one and add to taste. In a sauce pot place the brown sugar, cinnamon sticks, guava marmalade, Habanero peppers, butter and salt. Stir to incorporate and bring to a simmer over medium heat, then reduce to low. Keep on the heat for about 15 minutes, just long enough to marry the flavors. Take off the heat, remove the cinnamon sticks and let cool slightly. 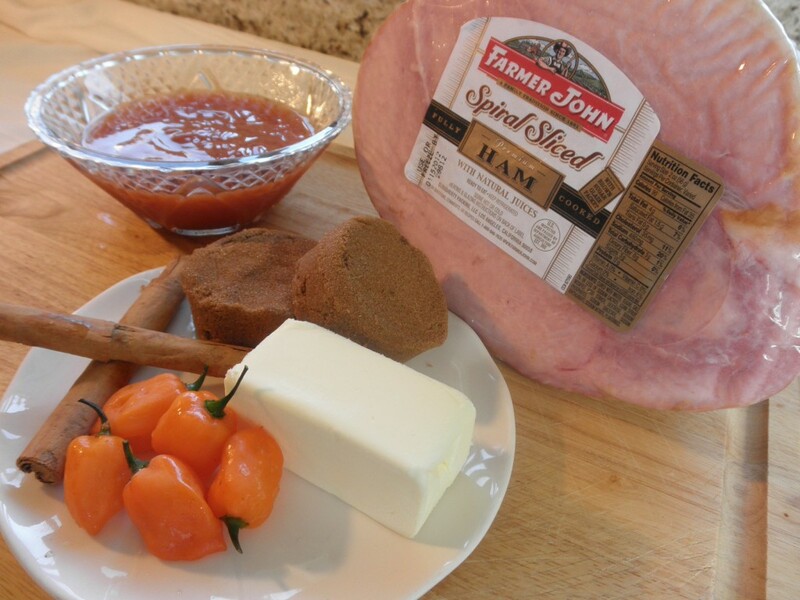 Place your fully cooked ham in a roasting pan. 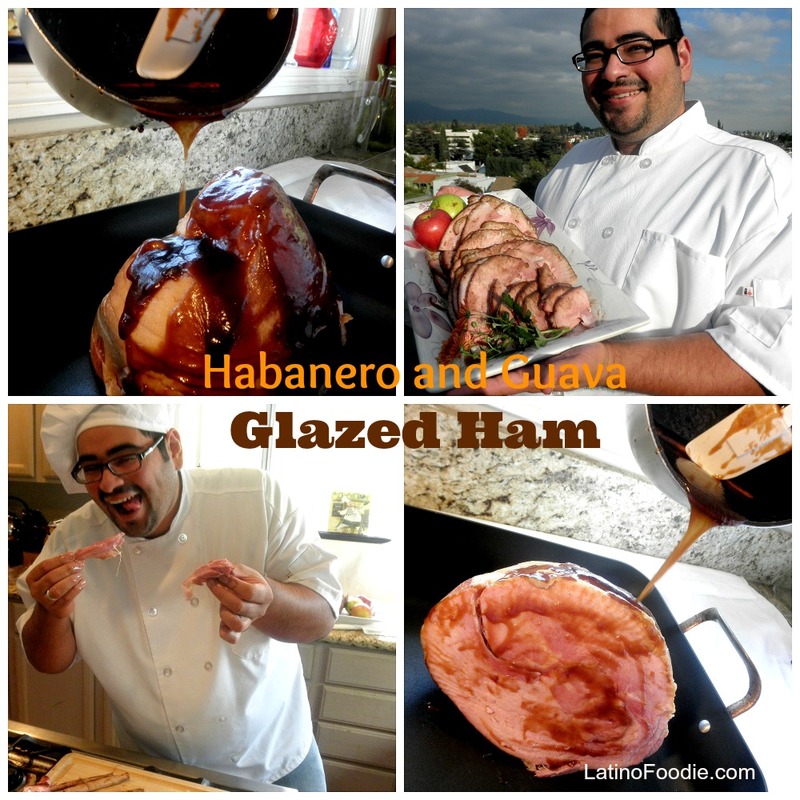 Drizzle the Guava & Habanero glaze over the ham. Cover the ham with foil. Place in oven and bake. 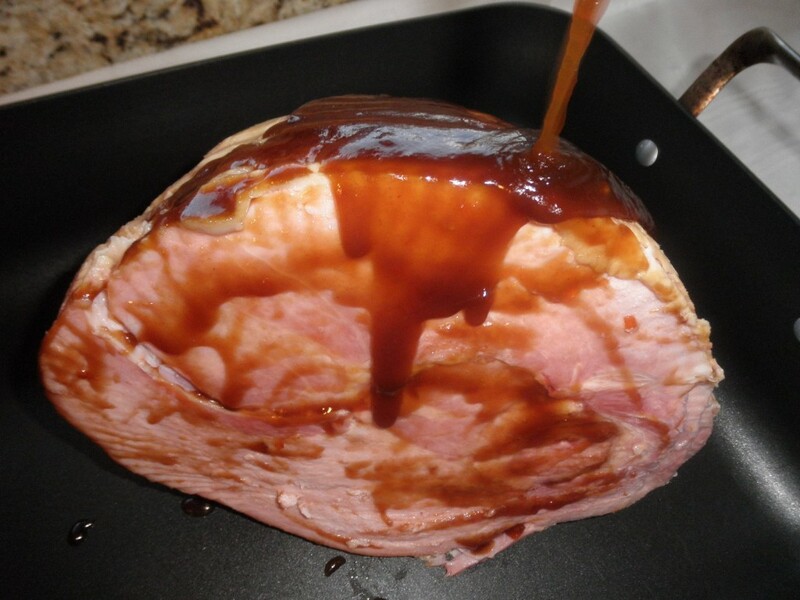 Set a timer to remind you to baste your ham with the delicious glaze every 15 or 20 minutes. You’ll want your ham in the oven for about 13 minutes for each pound. Remember to let your ham rest for a few minutes before you carve it. Ta Da! The final product. 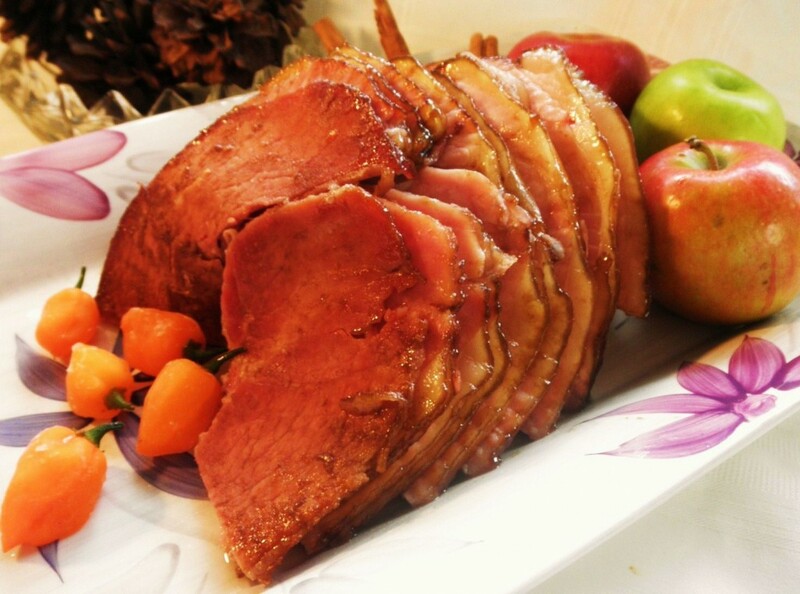 A deliciously moist ham with the right amount of sweetness and hint of spice. Back in the 1960’s and early 1970’s I remember Farmer John:s hams cooking in the oven at both Christmas and Easter. Back then they came in a silverly wrapper with a full image of Farmer John on the label from farmers boots to his cowboy style hat on his head, We really enjoyed those hams back then. Christmas morning Dad whose name also was John use to let me unwrap the ham and to me it was like an extra Christmas present because it was wrapped in the silver and I knew how great it would taste at dinner time. I was one year old when we got into San Pedro California in 1960 and left in April 1980. Those days on Christmas and Easter will live long into my memories and into Heaven. I really wish since I liive back here in Newry, PA that I could enjoy another Christmas Farmer John ham. Please let me know if I can get one, thank you.